Thanksgiving usually means meeting with family for a traditional meal of turkey, with pumpkin pie for desert. What about vegetarians? Or people that would almost rather trade places with the turkey than suffer through another dinner with extended family? If the normal Thanksgiving feast is not cutting it, then it is time to put gobbling turkeys or the image of gobbling uncles into the rear view mirror. Watching the Macy’s Thanksgiving Day Parade is one of the universal Thanksgiving Day traditions. Kids always marvel at the massive balloons that portray their favorite cartoon characters and the acts from popular television shows. While the parade looks fun on television, attending could become a cherished family memory. While the kids might love seeing the Spiderman balloon now, the parade’s magic will last forever. So, let the grandparents entertain their friends this year and take off for New York. If New York still seems to out of reach, then consider taking in a parade at a closer or more affordable location. 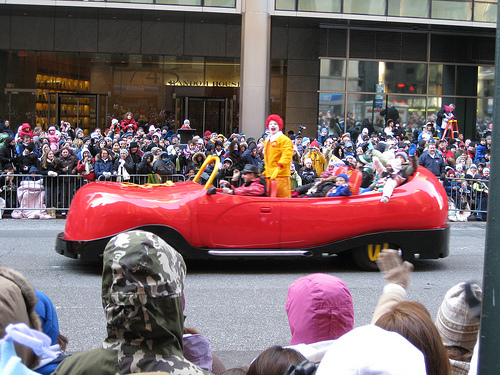 Chicago has a holiday parade on Thanksgiving morning that offers a show to rival the more famous Macy’s event. The parade is an unforgiveable experience featuring giant marching bands, inflatables, dancers and more. Vacationers often target iconic locations that come with outrageous price tags. Rather than splurge on New York or Paris, travelers might find plenty of big city fun, friendly accommodations, and great deals in mid-sized cities that often get overlooked. San Francisco has enough squares and boulevards to rival Paris. The Thanksgiving trip to San Francisco can be a chance to break away from the norm. Instead of the traditional turkey, consider dining out in some of the exotic city restaurants and pubs to enjoy a lobster (instead of a turkey) just for a change. If dinner is not the most important part of the holiday for you and you are looking for some special events, consider going to Washington to witness the famous Presidential Turkey Pardon ceremony where the President formally pardons a turkey and spares it from ending up on the Thanksgiving table. Thanksgiving should be enjoyed. Ignore conventions and start a new tradition of having fun. to help you on the road to enjoying your trip memories.